This pee was taken about 500 feet from the summit of Mt. Sneffels, near Ouray, CO. This pee was particularly great due to the fact that it occurred after 4 hours of skinning through the basin to the peak. 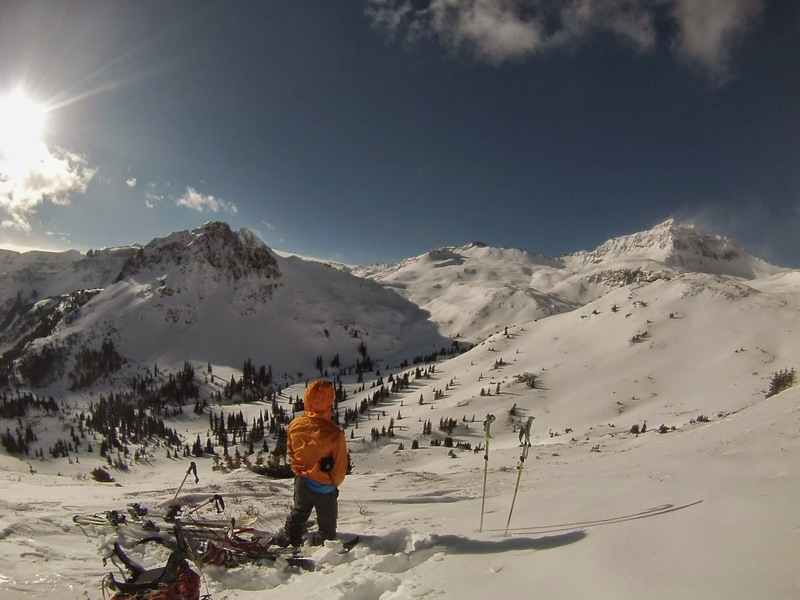 Ryan Gardner (pictured) experienced this pee during his first time ever on skis, let alone in the backcounty, and was geared up for ice/mixed climbing for the summit of Sneffels.